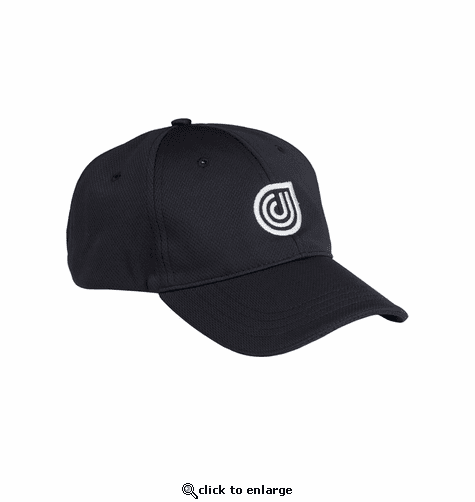 Dr. Cool\xCDs hats use a patented, chemical-free cooling mesh deigned by Coolcore- this lightweight billed cap will keep you cool, dry and comfortable in the sun. With an adjustable Velcro band and moisture-wicking sweatband, this is the perfect hat for all your outdoor activities. This lightweight billed cooling hat is perfect for all outdoor activities including running, golf, tennis, hiking, fishing, walking or just hanging out. Made using Coolcore\xCDs patented chemical-free cooling mesh the Dr. Cool cooling hat will not only provide shade but will keep you cool for maximum performance. Dr. Cool is the latest line from Coolcore, a New England-based material innovation company specializing in thermo-regulating fabrics. Dr. Cool’s Recovery-On-The-Go wraps are the first and only flexible fabric solution to combine ice and compression for anyone seeking relief from life’s bumps, sprains, aches, and bruises. Wrap your bumps, bruises sprains and excuses in a Dr. Cool recovery wrap. Ice and compression therapy woven into one convenient wrap that goes everywhere you go! Coolcore's cooling material innovation has undergone over four years of lab and field testing and recently became the first US Company to receive the “Innovative Technology” recognition from the world-renowned Hohenstein Institute recognized globally since 1946 for its market leading testing systems serving the textile industry. Traditionally, cooling has been achieved using immobile air conditioning, ice packs and fabrics covered in chemicals that wick away sweat, keeping us dry when we perform. These previous methods do not necessarily cool and typically degrade over time. Cooler: up to 30% lower surface temperature. Longer: zero degradation over time.